NTA, Nepal Telecommunication Authority has decided to collect Rs 20 billion from Nepal Telecom (NTC), for the Mobile license renewal. NTA board on Sunday comes to the decision for the payment of Rs 20 billion for the license renewal for five years. As the license renewal fee was not clear, Nepal Telecom requested for the license renewal, paying 18 crore Rs (180 million). The deadline of the mobile license for Nepal Telecom is on Baishak 2076. As mentioned in the Telecommunication Act 1997, a telecom company gets a mobile license for ten years. Then, they need to renew their license every 5 years. The Telecom regulation requires telecom companies to apply for license renewal 3 months before the expiration date. So, Nepal Telecom applied to NTA with the 90 percent of the license renewal fee. 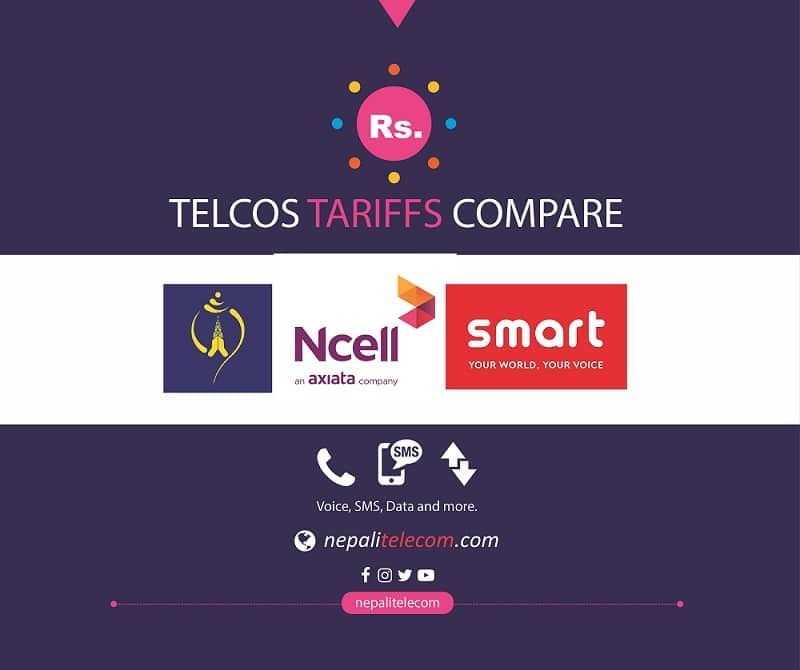 Before Government allowed to pay the huge sum in installment basis for both of the telecom companies, NTC and Ncell. But as such a decision has not been taken now, Nepal Telecom has to pay the whole sum at once. NTA Acting Chairman Mr. Purushottam Khanal said, ” The decision to collect Rs 20 billion from Nepal Telecom for the License renewal will apply the same for all the telcos”. The Mobile license was awarded to Nepal Telecom on Baishak 29, 2056. The first license amount worked for the first 10 years. That time, NTA put the condition that Nepal Telecom to pay the same amount which other telcos will pay for the license renewal. Mobile license was issued to Nepal Telecom on Baishak 2056 whereas for Ncell, it was on Bhadra 2061. On the Mobile license auction, Spice Nepal Pvt Ltd. bid Rs 20 billion and got the license on 2061 Bhadra. After multiple sold out, Ncell now holds the license to operate the mobile service in Nepal. Based on the previous condition, Nepal Telecom also needs to pay the same amount of Rs 20 billion. The telcos had been requesting NTA to make the renewal fees reasonable and according to international practices. Following which, NTA recommended the Ministry to make the renewal fee 4 percent of total company revenues. So, if the recommendation had been followed, the telecom companies have to pay 50 percent of the paid amount. Before Parliament’s PAC also directed the Government to take decision-based on international practices. But Financial comptroller’s Report (Mahalekha pratibedan) recommends the government for the 20 billion fees as it came from competition. So the board now decides to stick with the 20 billion sums. UTL and Smart Telecom have also got the unified license which they got by paying 35 crores 75 lakhs (357.5 million) to NTA. After 10 years of operation, they also need to pay Rs 20 billion every 5 years for the renewal.